Between busy schedules and long days, expressing love can fall by the wayside. We forget to compliment, to give gifts “just because,” to linger in our embrace. The things that say “I love you” seem to either not get said or not get through. This is a book about saying it—and hearing it—clearly. No gimmicks. No psychoanalyzing. Just learning to express love in your spouse’s language. With over 11 MILLION COPIES SOLD, The 5 Love Languages® has transformed countless relationships. 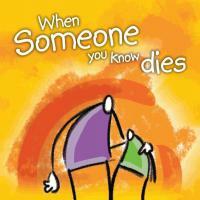 Its ideas are simple and conveyed with clarity and humor, making this book practical as it is personable. You’ll be inspired by real-life stories and encouraged by its commonsense approach. reading this book feels like taking a walk with a wise friend. Applying it will forever change your relationship—starting today. "The Five Love Languages is consistently ranked in the top 5 books in the New York Times’ bestseller list. We have not only benefitted personally in our marriage from Gary Chapman’s insights, but it has helped us in our relationships with our children, our wider family and our friends. It is an immensely practical book that is easy to give to anyone interested in strengthening their relationships – whether or not they have a Christian faith." 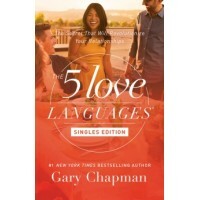 Gary Chapman’s insights in The Five Love Languages have been of enormous help to us in our own marriage and family life. Discovering how another person feels loved, often in a very different way to ourselves, is the key to putting love into action. Countless other couples and parents have been similarly impacted by Gary’s insights and we have been so grateful to be able to include them in The Marriage Course, The Marriage Preparation Course and The Parenting Courses. 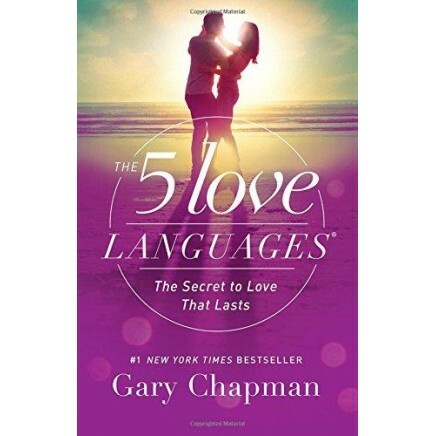 We could not recommend the Five Love Languages too highly and actively promote it wherever we can.